“We’re ThinkGeek. We enjoy movies, books, and long space walks outside the vehicle. 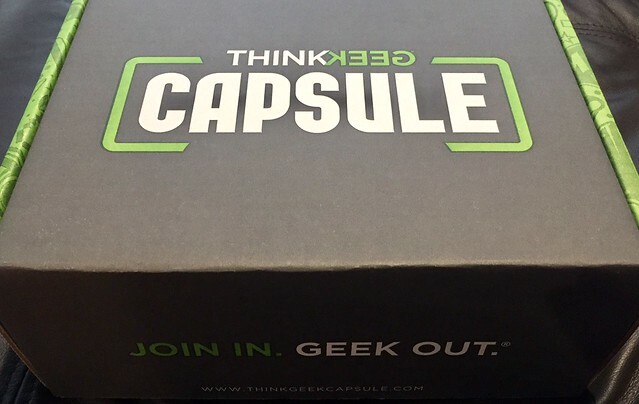 We want everyone to embrace their inner geek, and the ThinkGeek Capsule is our monthly mystery box that gives you the fun of a blind box with the security of knowing you’re getting gear hand-selected by ThinkGeek. 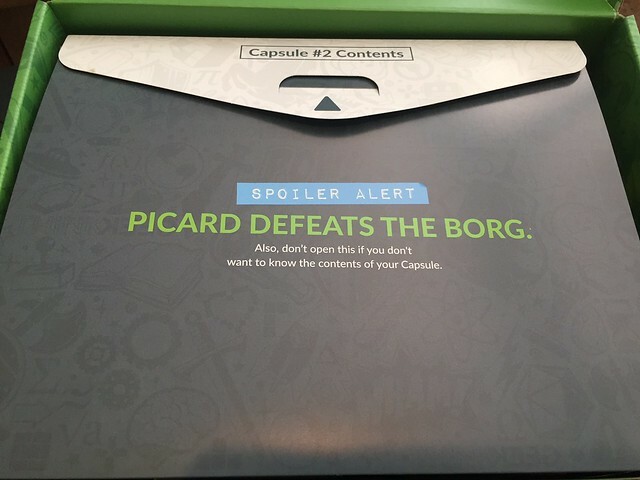 The box comes with a list of spoilers that I skipped until I went thru the box on my own. 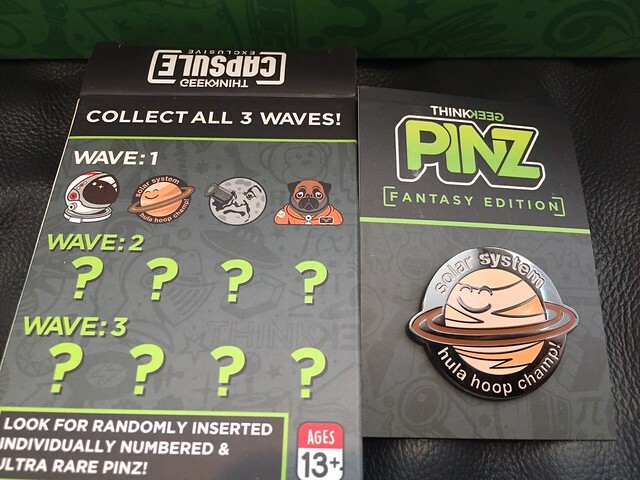 Because pins seem to be the norm in most mystery boxes. 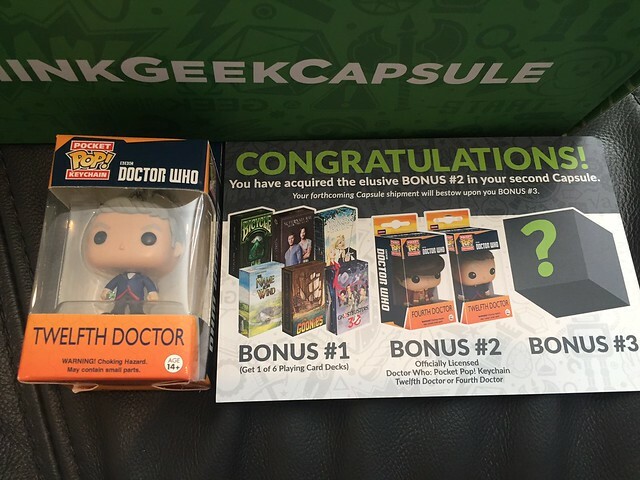 The BONUS item I received this month was the 12th Doctor Pocket POP! Keychain. There were 2 possible Doctors I could have received. 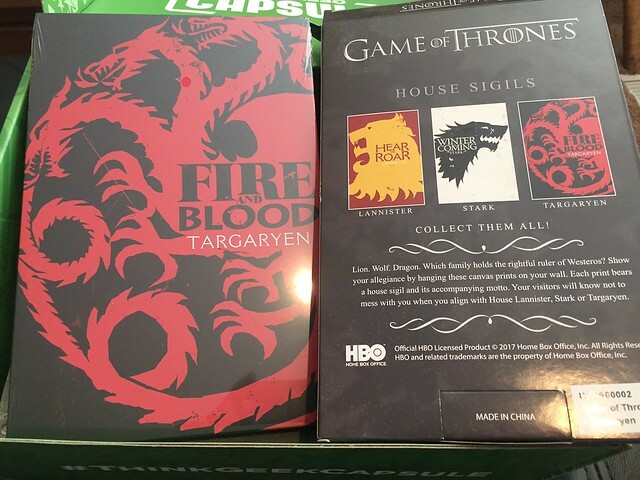 Game of Thrones Mini Canvas – I’m not a GoT fan, but I know I’m in the minority. These are cool and unique collectibles, if you are a fan. 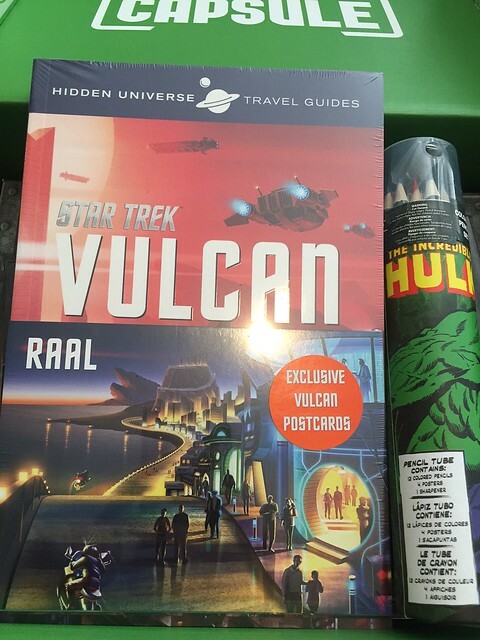 Vulcan Travel Guide and Hulk Poster and Colored Pencil Set – The Vulcan Travel Guide is my favorite item in the box! And the value is almost as much as the box price, so subscribers are getting a great deal. The cute colored pencil/poster set will be a great gift for my nephew! 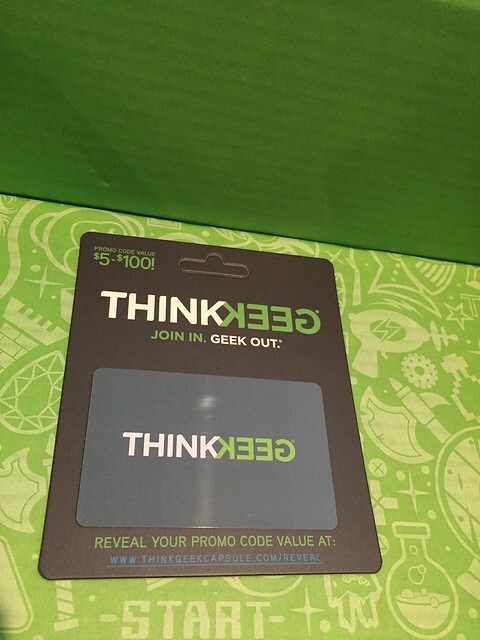 ThinkGeek Promo Code – This is a great idea to get people to go buy more stuff from the site! Mine have been for the minimum $5 each month so far. 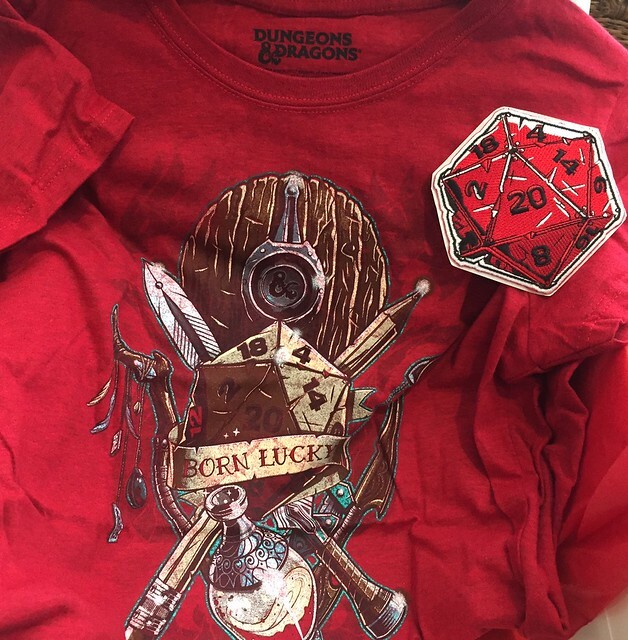 Dungeons and Dragons Tshirt and matching Patch – This is a cute, unique design if your a D&D fan. And a large, matching dice patch, if you’re a collector. SUMMARY: This was an even better 2nd box! There seemed to be higher value items in this box, despite fewer items. And I enjoy the variety of geek culture. I’m excited to see what the next Capsule holds! Previous PostReceived in JulyNext PostVALERIAN: CITY OF ALPHA Mousepad and Art Print Giveaway!